•Provides SSL encryption between Wireless clients and WLC to protect Web Authentication credentials. •End user receives a security warning when triggering the web policy page on the WLC. •WLC does not have validated public signed certificate. A self-signed certificate (SSC) is installed on the WLC by default. •Deploy a 3rd party certificate signed by a Public CA. •Wireless controller code version 5.1.151.0 or higher. •Up to Level 2 certificates are supported on the WLC. •level 2 : Device, intermediate and Root Certificate. •1024 and 2048 bit certificates are currently supported. •Ask CA what certificates will be provided in chain. 2.Note:- Either 1024 or 2048 bit requests can be used on WLC. 3.Provide the requested information including Common Name. Common name must match DNS hostname on the virtual interface. 4.Once Completed two files will be created. myreq.pem – This is the request that will be sent to CA. mykey.pem – This is the key file which will be used when certs arrive. The output should look like below. A challenge password :hello123 –> We should remember this password, it will be used later in final step. 1.Login to certificate authority’s web portal , in our case “THWATE”. Provide the myreq.pem file when creating a new certificate. 2.Note: If an optional password was used when creating the request, be sure to provide this password to the CA when submitting. 3.Your CA will notify you when your certificate is ready and provide a method to download. 4.When downloading the certificate , ensure that you obtain the following. Copy certificates in a notepad , in below order and name it as “All-certs.pem”. When we receive the certificate for another entity, we might need to use a certificate chain to obtain the root CA certificate. The certificate chain, also known as the certification path , is a list of certificates used to authenticate an entity. The chain , or path begins with the certificate of that entity and each certificate in the chain is signed by the entity identified by the next certificate in the chain. The chain terminates with a root CA certificate. The root CA certificate is always signed by CA itself. The signature of all certificates in the chain must be verified until the root CA certificate is reached. 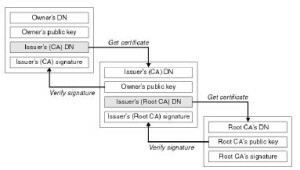 Below figure illustrates a certification path from the certificate owner to the root CA, where the chain of trust begins. 1.Open OpenSSL (via command line) and issue the following commands. 2.If all successful , we will have a file called “final-cert.pem”. Move this file into our TFTP(L00SRV1083) Root directory. 1.Open our TFTP server and verify that “final-cert.pem” is within the Root directory on the server. 3.When ready click “Apply” in the upper right hand corner of the page. 1.Configure WLC’s virtual interface Hostname as the common name found on the certificate. Reboot required. 2.On the clients DNS server . Configure a DNS A record pointing our FQDN to the virtual interface ip address. 4.Client can use an internal DNS server within the enterprise. 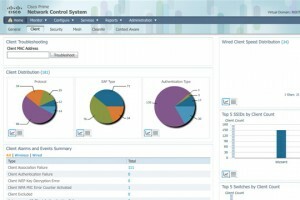 Simply create the A record on the internal servers. 5.Deploy a DNS server in the DMZ. 3.If an optional password was set within the CSR, ensure that this password was provided to the CA when requesting for the certificate. 1.Browse to the Web Policy page and double click the SSL icon in your browser to view the certificate. Review the certificate path. 1.Can i install the same certificate on multiple WLCs ? 1.Yes, the Virtual interface IP address and hostname must be same on all WLCs. 2.If i am using Guest Anchor WLC , where do i need to install the certificate? 1.The 3rd party SSL certificate is only required on the Anchor WLC. 3.My company has a wildcard SSL certificate. Can i use this with the WLC? 1.Yes, however please ensure the that the certificate is a level 2 or lower. 4.My certificates are not in .pem format . Can i convert these ? 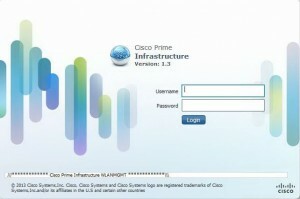 Cisco Prime NCS 1.3:- This is login page after upgrade. I would personally recommend to upgrade Cisco Prime NCS 1.2 to version 1.3. There are lots of bugs in release 1.2 , you will instantly feel that after the upgrade to 1.3. Open a console session and log in to the existing server as admin. Enter the password when prompted. Source:- source is the application upgrade file’s URL, path and filename (for example: FTP://<YourFTPServer>/PI-upgrade-bundle-1.3.0.20.tar.gz). disk is the disk and path to the local defaultRepo. Stop the Prime Infrastructure server. Enter the command “ncs stop”. Under this product ID, you will be able to select 0-priced capacity licenses. Please select a combination of these, so that the total number of licenses matches the maximum number of access points licensed on the existing WCS system. Support for the new PI installation is optional, but strongly recommended. If you plan to use a physical appliance, you will need to order that separately, using the product ID PRIME-NCS-APL-K9. Again, hardware support is optional, but strongly recommended. Application support does not automatically provide hardware support. You will need to order both separately, if needed. Make sure to order the appliance with version 1.1 software. 2. Create a new installation of NCS 1.1.1.24. If you chose a physical appliance, do initial configuration and check that it is running 1.1.1.24 software, by opening a SSH connection to it and entering the show version command. If you have a different version of software running, you will need to open a TAC case to do an upgrade/downgrade (http://tools.cisco.com/ServiceRequestTool/create/). For virtual appliance here are the very initial steps. At this point we are able to https://<prime ip> , this will get us to the default license page that there is no license currently available in the device. We need a 30 days evaluation BASE license to install other licenses on the device based on the UDI/VUDI name. If you chose a virtual appliance, send an e-mail to licensing@cisco.com , to get temporary download rights to the NCS 1.1.1.24 OVA file. For this, you will need a valid CCO account linked to a valid e-mail address. Deploy the OVA template onto VMware and do initial configuration through CLI. 3. Install temporary licenses to activate the NCS appliance. 4. Do a WCS to NCS data migration. We first need to create WCS backup file that will later exported into Cisco Prime NCS. Then run export.dat file from the command line. The file wcs_backup will be in zip format. Export this file to FTP server. After that follow this guide for command line entries on NCS admin console. Note: It will take 1-2 hours normally. Wait patiently. 5. Upgrade NCS to Prime Infrastructure 1.2.1.12. We need two files for the upgradation. First is patch file and the other one is the upgrade file. We will get the above files by emailing to cisco representative . Note: Again it will take 1 hour almost. 6. Install the permanent “Lifecycle” licenses that you received by ordering the migration product ID. In my case i have received 3 licenses for NCS . Install it from the license center under administration tab. 7. At this point your NCS Prime Infrastructure installation is ready to use.Below is the view of Wireless clients connected to your networks, there SSID’s used, encryption method, frequency band, etc. You can further optimize your NCS box to get the most out of it.